Comments A fully natural and unheated Yellow Sapphire from Sri Lanka, which is the embodiment of all things that Jupiter represents! A Sattvik aura, benign powers, and the magnanimity that is Jupiter! This gemstone filled with the best Jyotish powers also has it the endearing Canary yellow color, glorious clarity levels and a superbly symmetrical cut! With the ancient symbols of Jupiter on the shanks of this 18K gold ring, this has made a fulfilling talisman of abundant powers! Is your Yellow Sapphire beautiful? Is it full of lustre? Does it have over 90% clarity levels? Is light passing through it and entering your body? If answers to all of the above are yes you have Jyotish Quality. 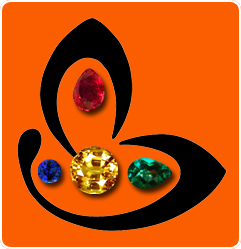 If there is No to any single question you Gem is not Jyotish Quality and will not work for Jyotish purposes. 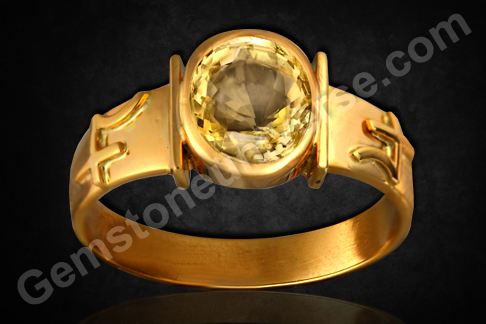 I’m interested un purchasing the Yellow Sapphire ring.